All judges who are included in the Society's List of Judges must agree to write a critique on their judging of the breed and to submit it within the time limit to the canine press. The list is valid for a specific period and upon expiry the Society will publish an updated list. Inclusion in any part of the list does not guarantee automatic admission to future lists. The Field Spaniel Society Committee alone shall decide which judge's names are to be included on the Society's annual list. Although proposed judges may fulfil the criteria required, this does not guarantee automatic inclusion on any of the Society's lists. Judges on these lists have the support of the Field Spaniel Society and, as such, acceptance on the Lists are regarded as an honour by the Society. 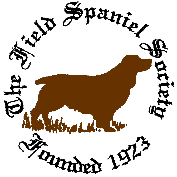 The Field Spaniel Society acknowledges the Kennel Club Judges Development Programme and the valuable input it gives to Judges, and as such, the Field Spaniel Society would be pleased to add any participant onto the Society's Judges Lists once the Society's Judges Criteria has been met. When calculating the number of Field Spaniels judged, only ones in breed classes count. The persons on the B List are considered by the Field Spaniel Society to be acceptable as judges of Field Spaniels at Open and Limited shows only. Acceptance on the list is regarded as an honour by the Society. To have attended at least one Field Spaniel Breed Specific Seminar since January 2005 run by the Field Spaniel Society and in accordance with the relevant Kennel Club Code of Best Practice and passed the relevant examination and/or assessment where applicable. To have attended, and passed, a KC "Requirements of a Dog Show Judge" Seminar. To have judged a minimum of 20 exhibits hands-on during a period of five (5) years or more at a number of the venues with an adequate geographical spread.